Sung Dong-Il, Ha Ji-Won and Kim Yunjin are cast in movie “Collateral” (literal title). Also cast in supporting roles are Kim Hee-Won and newcomer child actress Park So-Yi. Park So-Yi was cast after going through auditions involving 300 other auditionees. In the film, Sung Dong-Il will play debt collector Doo-Seok. He went to collect debt from a woman played by Kim Yunjin and then was given her baby daughter (Park So-Yi) as collateral. Fast forward to the present day and that baby daughter is now an adult (played by Ha Ji-Won). Movie is directed by Kang Dae-Kyu (“Harmony“). Filming for “Collateral” will begin April, 2019 and the movie will be released sometime around the second half of this year in South Korea. 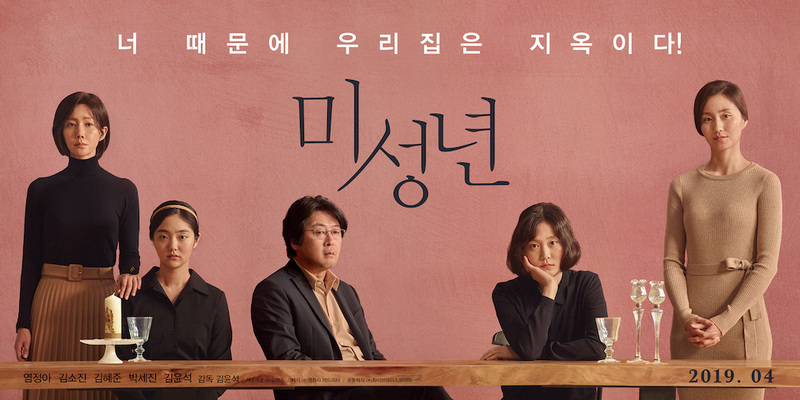 Main trailer and posters added for movie “Another Child” starring Yum Jung-Ah, Kim So-Jin, Kim Yun-Seok, Kim Hye-Jun and Park Se-Jin. The film also marks the directorial debut by actor Kim Yun-Seok. Story for “Another Child” follows high school students Joo-Ri (Kim Hye-Jun) and Yoon-A (Park Se-Jin). They learn that that Joo-Ri’s father (Kim Yun-Seok) was having an affair with Yoon-A’s mother (Kim So-Jin). 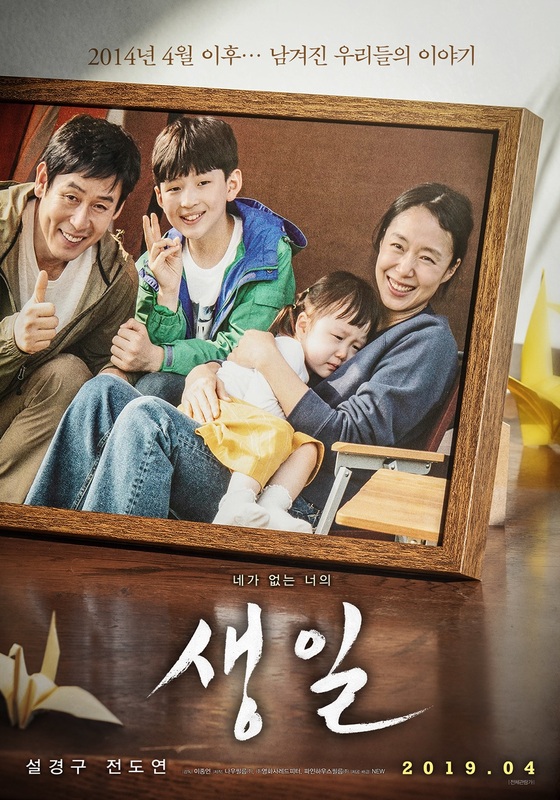 “Another Child” will be released April, 2019 in South Korea. 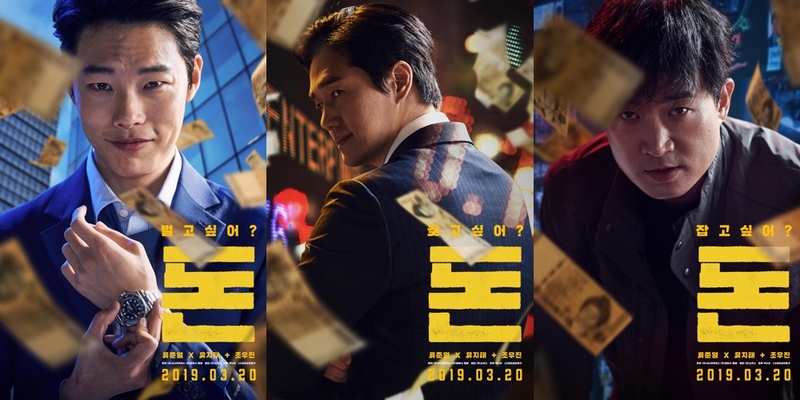 English subtitled trailer added for movie “Money” starring Ryoo Joon-Yeol, Yoo Ji-Tae and Jo Woo-Jin. The genre of the film is crime and set in the fast paced world of the stock market. “Money” is the first feature film directed by Park Noo-Ri (assistant director in movies “Man In Love“/”The Berlin File“/”The Unjust“). “Money” is set for release March 20, 2019 in South Korea. Teaser trailer added for movie “Inseparable Bros” starring Shin Ha-Kyun, Lee Kwang-Soo and Esom. Movie is directed by Yook Sang-Hyo (“Almost Che“). The film follows the close friendship of two unique men who have been friends for 20 years. 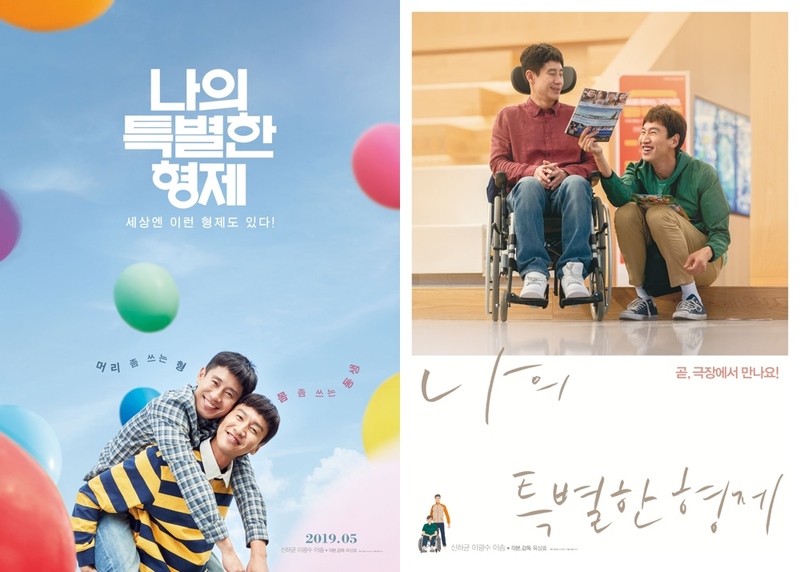 “Inseparable Bros” opens May, 2019 in South Korea. 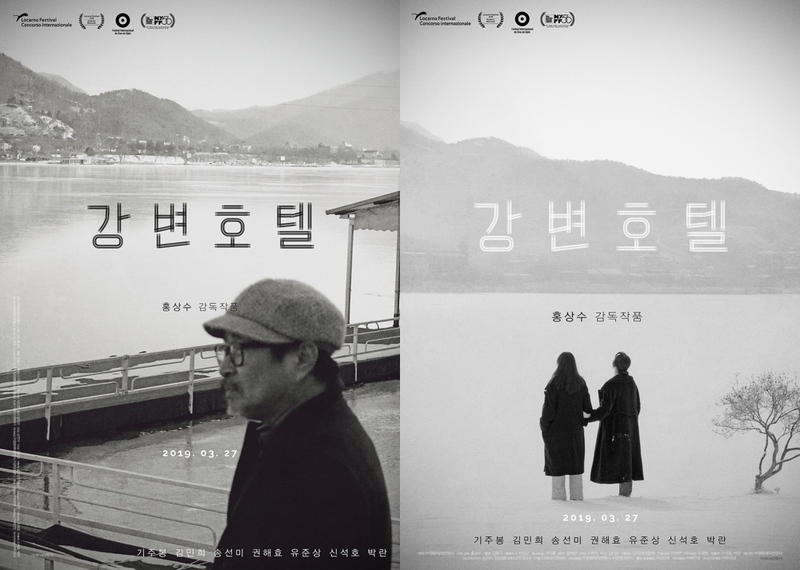 Here’s two teaser posters for upcoming movie “Hotel by the River” starring Ki Joo-Bong, Kim Min-Hee and Song Seon-Mi. Movie is the latest film written and directed by Hong Sang-Soo. “Hotel by the River” had its world premiere last year at the 71st Locarno Film Festival and Ki Joo-Bong received the “Golden Leopard for Best Actor” award at that film festival. 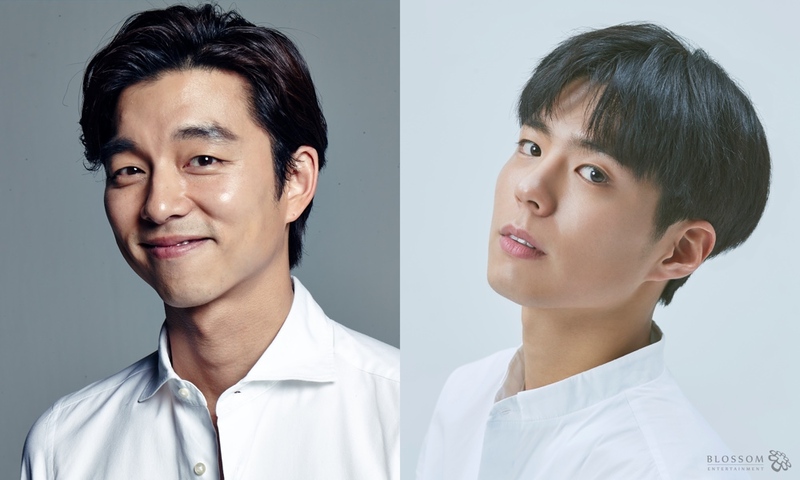 Park Bo-Gum is now cast in movie “Seo Bok” (working Korean title) co-starring Gong Yoo. Movie is the very long awaited 3rd film from director Lee Yong-Joo (“Architecture 101“). In the movie “Seo Bok,” Park Bo-Gum will play title character Seo Bok. His character is the first ever human clone and he holds the secret to eternal life. Filming for “Seo Bok” begins April, 2019. Trailer #1 added for movie “Birthday” starring Sol Kyung-Gu and Jeon Do-Yeon. The film deals with parents who lost their child in the Sewol Ferry disaster. “Birthday” is now scheduled for release April 3, 2019 in South Korea. 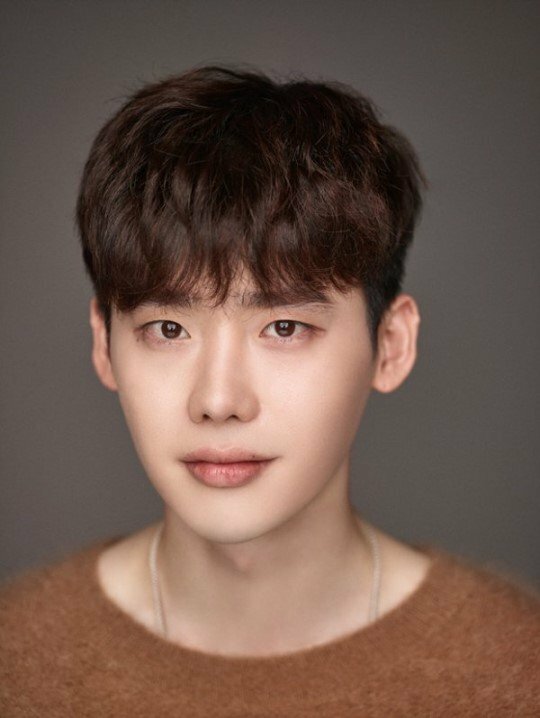 According to Lee Jong-Suk’s management company A Man Project, Lee Jong-Suk will begin his substitute military service on March 8, 2019. He is scheduled to finish his substitute military service on January 2, 2021. Lee Jong-Suk will perform substitute military service rather than the standard military service due to a car accident he was involved in as a middle school student. The accident caused a rupture of his cruciate ligament. For currently airing tvN drama series “Romance is a Bonus Book,” Lee Jong-Suk will finish filming on February 27, 2019. “0.0MHz” is now scheduled for release May, 2019 in South Korea. The teaser poster also reveals “Bad Police” will be released March 21, 2019 in South Korea.